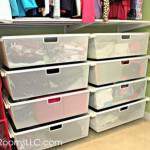 For those of you who are lucky enough to live within driving distance of a Container Store, you may be familiar with Elfa storage systems. 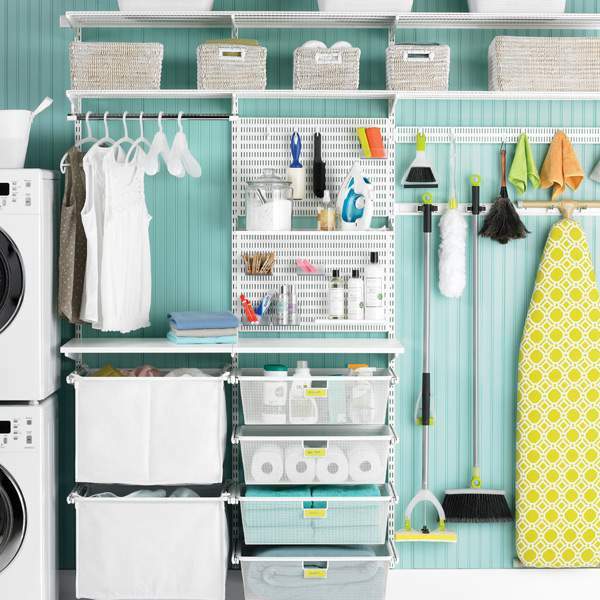 For the rest of you, allow me to introduce you to this fabulous resource for home organizing! Elfa is The Container Store’s brand of customizable modular shelving and drawer systems. 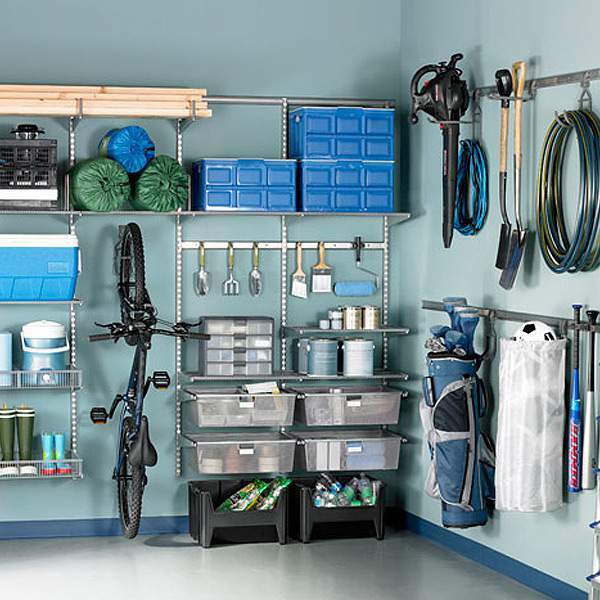 It can be used in any room of your home, including a closet, office, garage or pantry. 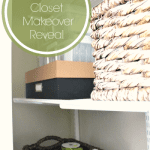 The most common place where you’ll see Elfa storage systems in action is in the bedroom closet. 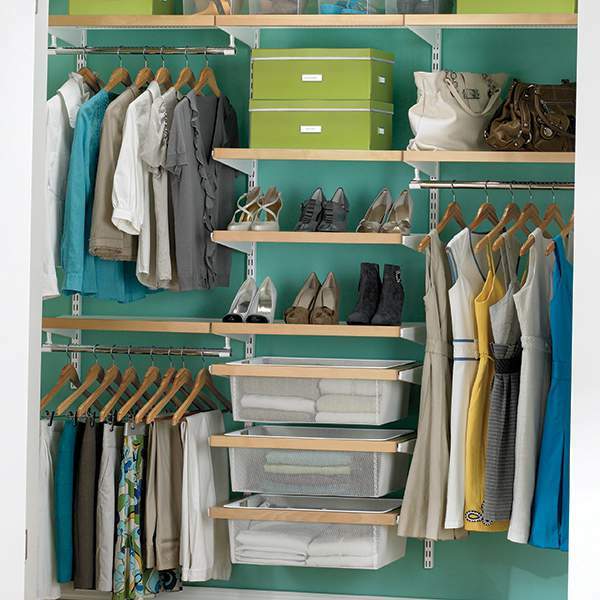 Elfa’s track and rail system allows you to fully customize your closet to meet your unique storage needs. There are other systems available in big box home improvement stores that are similar to Elfa in terms of their basic design. In my experience, however, I’ve found Elfa systems to be superior in strength, durability, and ease of use. In particular, the add-on drawer systems for the other brands are really flimsy and difficult to open and close compared to the Elfa drawers. Good Housekeeping agrees with me. 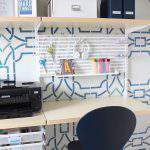 We installed a similar system in our homework/craft room: Take a peek! In addition to the original wall-mounted version, Elfa storage systems also come in a freestanding version. 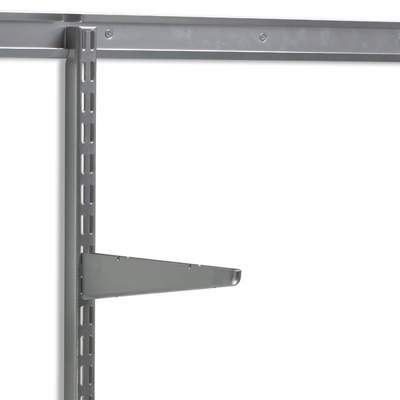 Freestanding shelves come in handy when you are dealing with walls that are not “drill friendly”. They are also a great option for renters who want to avoid wall repairs later on when it’s time to move out. 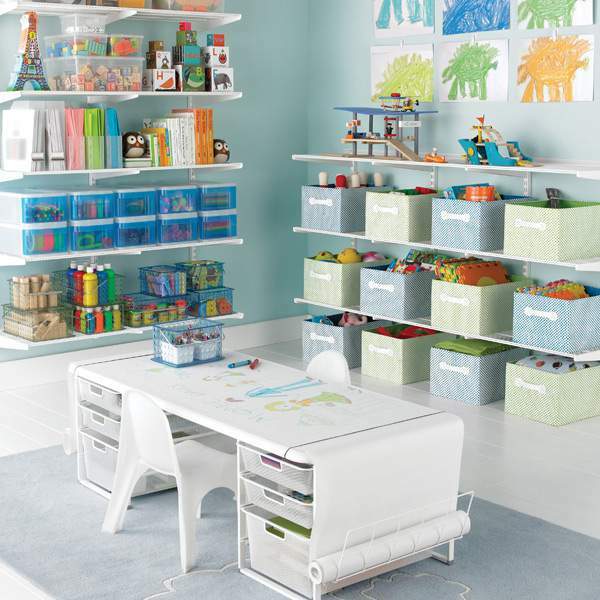 What kiddo wouldn’t love this freestanding Elfa study zone in their room? Another reason I love Elfa storage solutions is the amazing customer service that the folks at the Container Store provide. They offer free design assistance with in-store consultations and their on-line design center. If you prefer to speak to a human, you can access their design experts at no cost via phone or live chat as well. Did I mention they also offer an installation service? If you aren’t a DIYer, this definitely comes in handy! 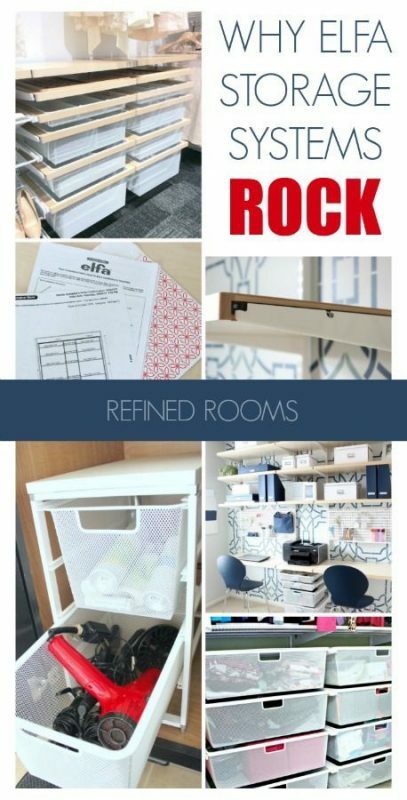 January and September are great time to invest in Elfa storage systems for your home, since the Container Store typically runs their annual Elfa sale during these months. UPDATE: Whoopie! All Elfa shelving and storage solutions are 25% off right now through October 15th 2018 (that includes installation fees too)! If you’ve been waiting for the perfect time to get your Elfa on, this would be it! How about you? What part of your home can use a little Elfa “magic”? I love elfa I’ve installed it in all the closets in the house. I live in a 2 bedroom house and with this system, I’ve been able to create room for storage. That’s fabulous! I just moved into a new home and installing an Elfa custom closet in my daughter’s new room was one of the first projects we tackled. It’s such a versatile system! I’ve seen this storage system and I think it’s great too. 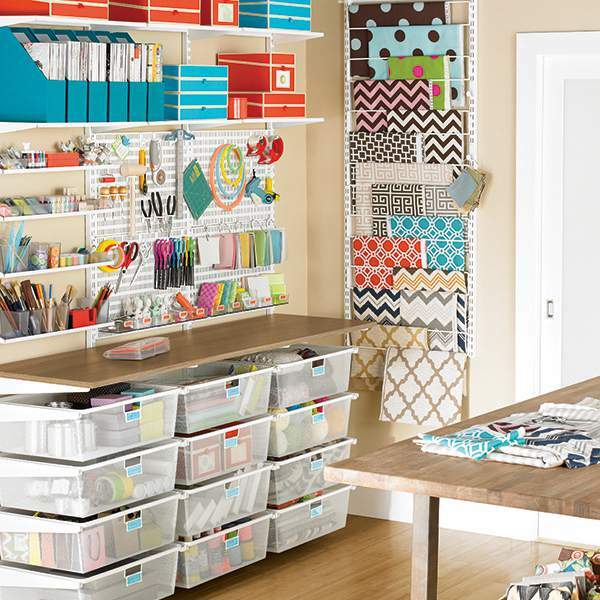 Anything that can make a space more organized is a good thing. Totally agree Erlene! THanks for stopping by!